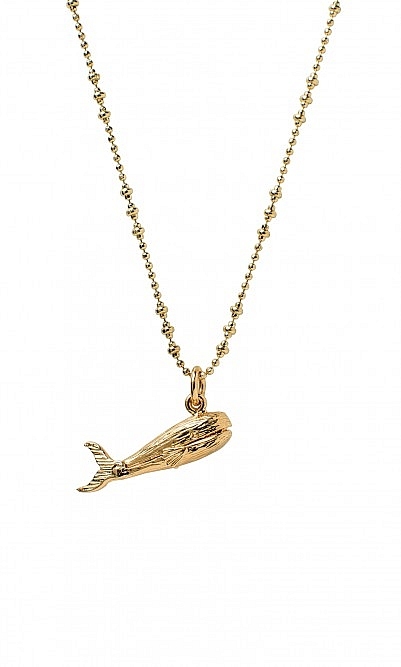 Articulated whale charm suspended from a delicate golden chain. Handmade. L30cm. 22ct gold-plated brass. Shown here with Moon Star necklace.